Activists have been blocking several railway lines connecting the Donbas with its occupied parts since January. The blockade created obstacles for transportation of coal for anthracite-fired power plants in Ukraine and of iron ore raw materials for steel works on the uncontrolled territories. Yenakiieve Iron and Steel Works (“Yenakiieve Steel,” which includes a Makiivka branch), a steelmaker, and Krasnodon Coal Company (“Krasnodon Coal”), a coking coal producer, subsidiaries of Metinvest Group, have halted operations. Production has been disrupted by the ongoing armed hostilities and a blockade of railway transportation between Ukraine and the uncontrolled territory in the southeast. Metinvest Holding LLC is owned by Ukrainian tycoon Rinat Akhmetov. A trade blockade of the occupied parts of Donbas was launched on January 25 by demobilized soldiers and veterans of Ukrainian volunteer battalions, Shypilove-Svitlanove rail section which connects occupied Luhansk to government-controlled Lysychansk and Popasna was blocked. Blockade activists say that trading with the occupied areas is equal to trading on the blood. In their opinion, the militants get their profits from commerce with Ukrainian companies. Authorities are of the opinion that the blockade should be ceased as the country’s energy security is under a threat. 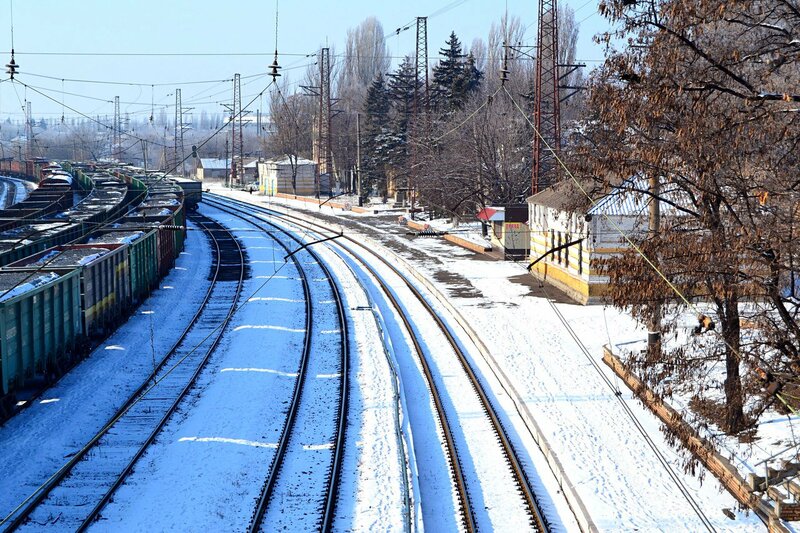 On February 11 another rail section was blocked between government-controlled Kostiantynivka and occupied Yasynuvata. Then activists set up their checkpoint on a highway near Zolote settlement in Luhansk Oblast on February 16. On February 14, Alchevsk Metallurgical Plant (AMK), an ironworks in the uncontrolled area of Luhansk Oblast, suspended iron smelting. AMK is owned by another Donbas tycoon Serhiy Taruta. Will the makeshift blockade in Donbas hit the Russian-backed enclaves’ economy?